Dr. Julian Meeks is an Assistant Professor in the Department of Neuroscience at the University of Texas Southwestern Medical Center. 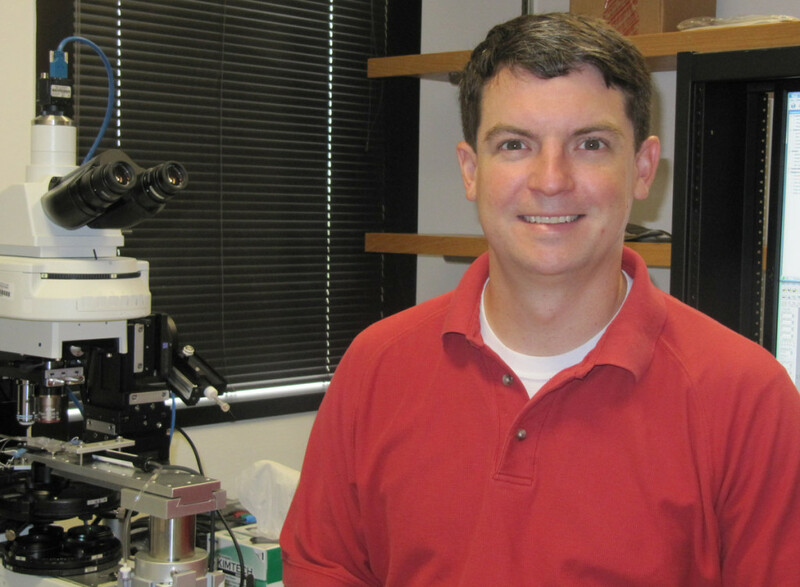 He received his PhD in Neuroscience at Washington University in St. Louis and completed a postdoctoral fellowship afterwards at Washington University as well before accepting a faculty position at UT Southwestern. Julian is here with us today to tell us about his journey through life and science. Julian started his laboratory at UT Southwestern in 2012. In his own lab, he is establishing a research program that merges these approaches; his laboratory is investigating the fine details of synaptic inhibition in olfactory neural circuits and is testing hypotheses about how specific types of inhibition regulates social behaviors. Julian’s own training as a neurophysiologist involved investigating the fine details of inter-neuronal communication and network-level olfactory information processing. He was awarded Washington University’s O’Leary Prize for Excellence in Neuroscience Research in 2010, and received a K99/R00 Pathways to Independence Award from the NIH in 2011.